This book will be an important contribution to our current knowledge of what it is like to work and live in a futurist ‘intelligent city’. 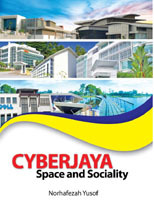 Based on ethnographic research in Cyberjaya, located in the heart of Malaysia’s answer to Silicon Valley, the author demonstrates what happens when the centrality of sociality to the making of a lived-in world is overlooked. Searching in vain for sustainable forms of residential sociality, the author concludes that future intelligent cities should make sociality a top priority.